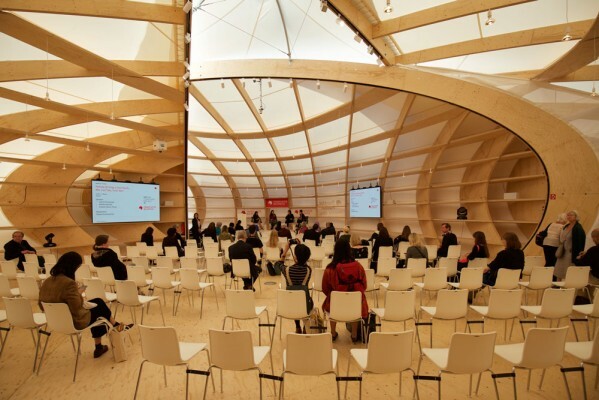 The Frankfurt Pavilion has been designed as an iconic building for events with authors and industry experts from all over the world within the context of the Frankfurt Book Fair 2018. The task of the architects and engineers was to develop a geometry that creates an iconic space with a special spatial feeling. The temporary construction should fulfill the conditions of stability and be material-saving and cost-effective at the same time. 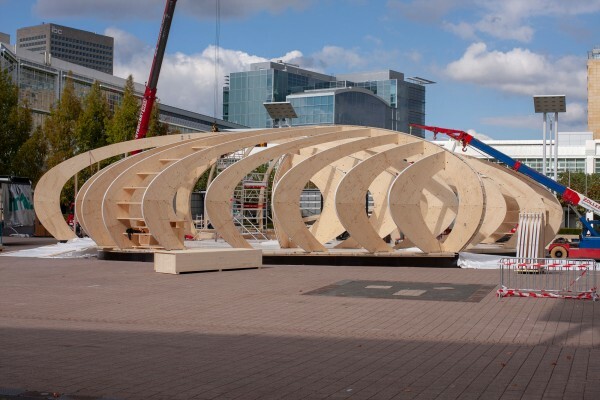 The result is three telescoped shell-shaped ribbed structures made of wood enclosed by a membrane. Inside, the building surprises with its light construction, which not only spans the space, but can also be used as an oversized bookshelf. 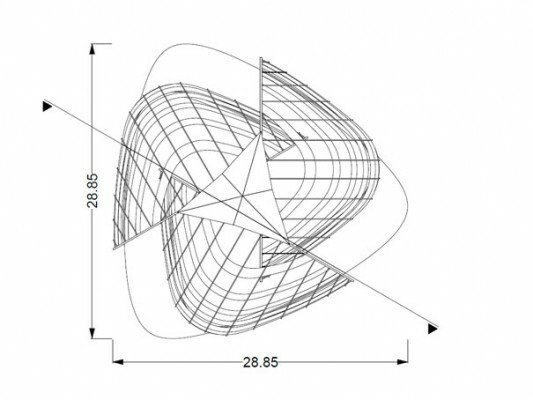 The space-forming design was developed in close collaboration with Bollinger + Grohmann and was generated and optimized by the team, taking account of architectural, structural and static criteria using genetic algorithms. This speeded up the design and analysis process and also proved to be an efficient method to determine the final production costs. For example, the optimization of the integrated rib and diaphragm system meant that the dimensions of the load-bearing elements were significantly lower than originally planned. 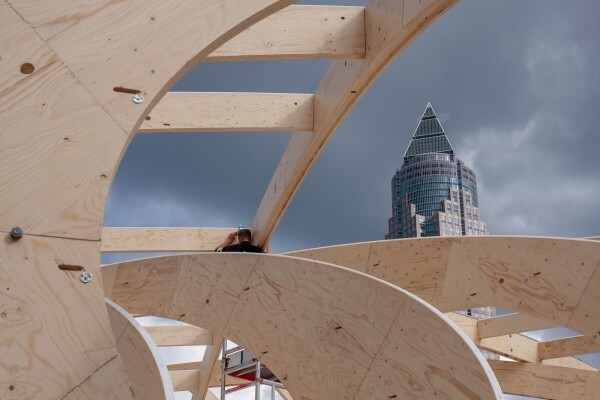 Based on this exact planning, the entire Frankfurt Pavilion could be realized from approx. 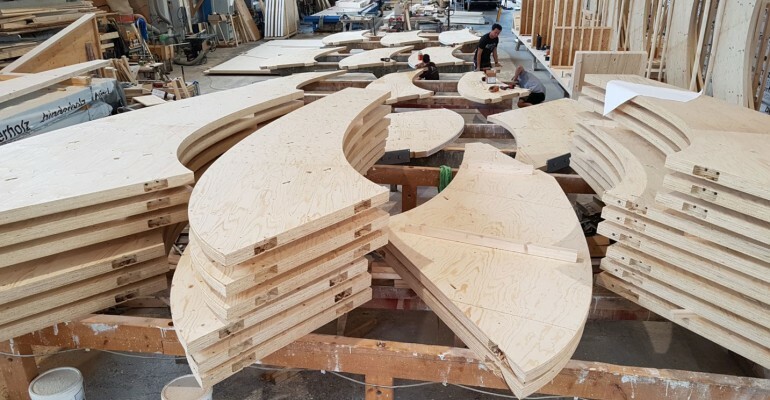 75 m³ of glulam (Kerto-Q) and 1,000 m² of fiber-bound PVC as a membrane.